This is a very useful section of PSS and you will access it frequently. Drill down to your listings that contain a certain word or phrase. Search Gloves. Search Slip-On Muffler. Search Helmet. Search Camshaft. Ability to search eBay listings by Price. This will search the Sale Price on the listings. 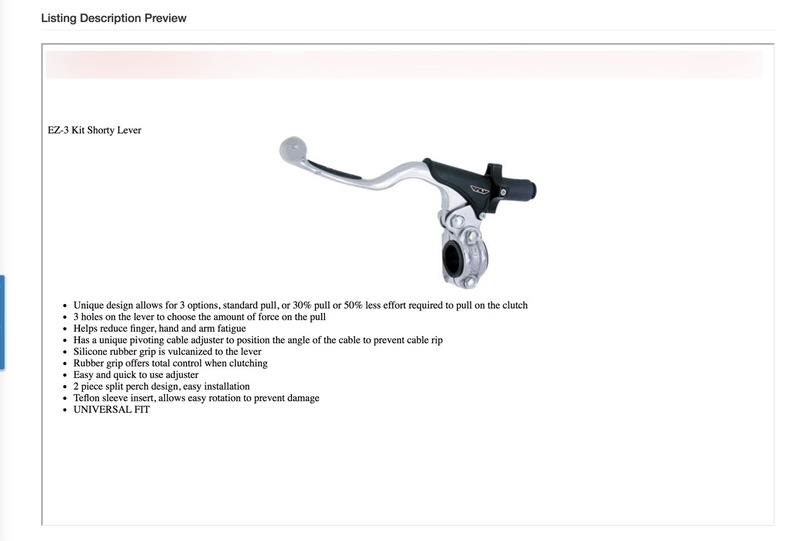 Search Air Filter and you will be able to pull up any listings that have Air Filter in the title. If you have an item ID that you are referencing in eBays seller backend or on the marketplace you can enter it here and manage all aspects of the listing. A good place to make a note. All listings must be edited in PSS. If you try to manipulate a listing in the eBay backend, PSS will override it on the next revision cycle. This is a key area. Throughout the time you are going to want to keep an eye on the status of your listings. There are literally hundreds of variables that can occur and cause your listings to move from an online status into a status in some sort of error. Locate listings that you created within a certain date range. Once you are on the eBay View All Listings Page, and you have filtered down to the listing that you wish to preview, simply click the Listing Title which is in the blue hyperlink. This will display Three (3) key aspects of the listing. 1. 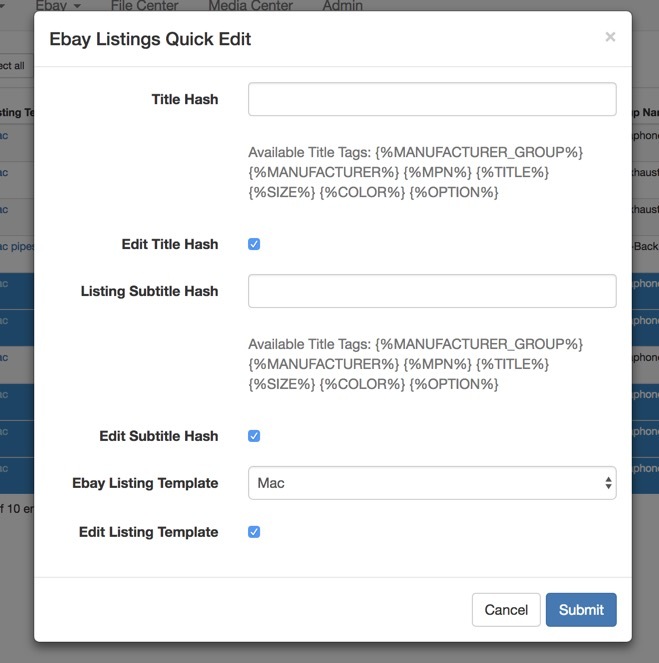 Listing Title, Title Hash, Subtitle Hash, Associated Listing Template, eBay Item ID, Date Created and Modified, then a link to preview the description. 2. Listing Description Preview. 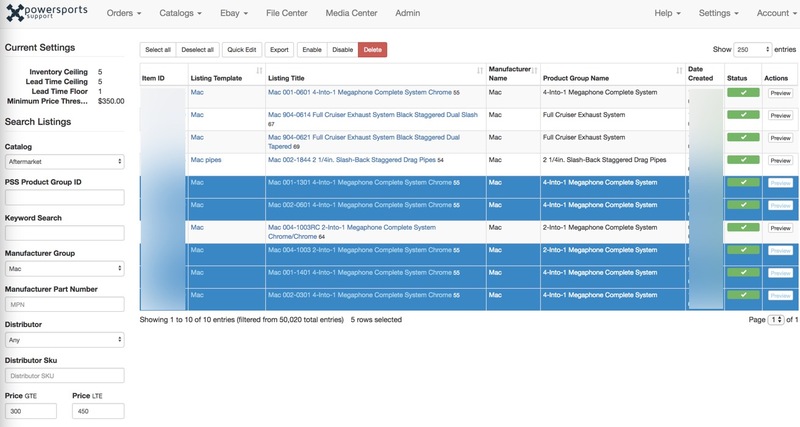 You manage the eBay listing description field from the eBay Listing Templates in PSS. The work you did and the tags you used on the assigned template will be displayed here. You can see that this user likely used the tags for Listings Title, Image, and Description. 3. Creation and Revision Reports. These are critical and you should reference them when you have a listing in an error status. You can disregard the warnings. The errors are what will cause issues. From PSS eBay View All Listings use the filters and find a listing that you wish to edit one or more aspect of. Highlight the row or rows by clicking into an empty space of a row. Select some at a time or use the Select All button at the top. Click the Quick Edit button at the top of the menu. This will present you with options to edit listing data. You must check the boxes for each field to come alive and be fillable. If you check a box and leave a field blank then you will edit that field to a blank. You can use just the tags, just text, or a combination of both. After you list a bunch of products you will likely come back here to shorten some titles that are too long or massage in some keywords. Same as above. Just make sure you keep it short. Don't use all of the tags for subtitles or it will error out. This is a good place to put things like "Free Shipping" or anything else that makes your listing different. Easily swap out the template that your listings are assigned to. Click submit when finished. Your changes will go out with the next scheduled revisions. From eBay View All Listings you can also change the status of your listings. Simply highlight the row of the listing(s) that you wish to take action on, then use the Enable, Disable, Delete buttons at the top of the menu. Disabling a listing will take it down and end the listing ID. But PSS will retain all of the listing information so that you can easily relist it in the future. Deleting a listing not only takes the listing down but it also removes all listing history from PSS. If you ever wanted to put the listing back online you would have to completely recreate it. 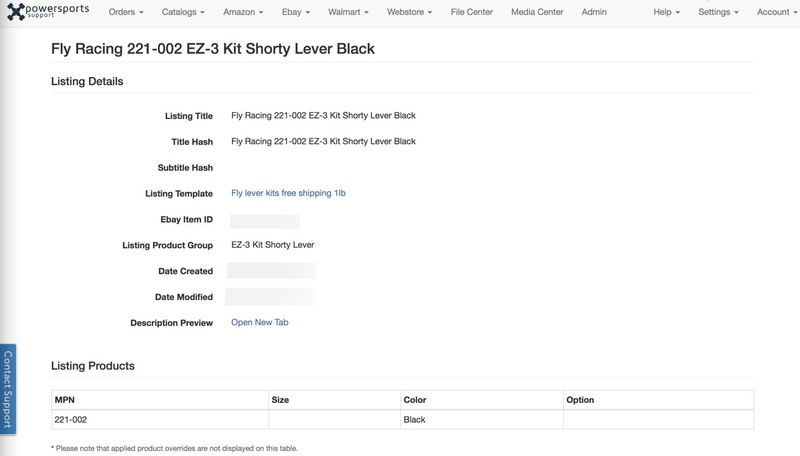 There are two ways to export eBay Listing Data out of PSS. For exporting out of eBay View All Listings simply filter down to the listings that you wish to export. Click the Export Button on the top menu. This job will be visible from File Center.